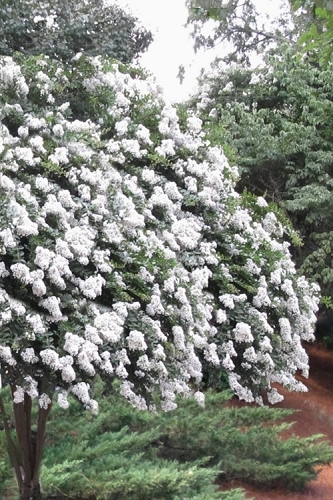 An exceptionally attractive native, the Weeping Yaupon Holly is a beautiful tree prized for it's distinctive weeping habit and for it's many uses in the landscape. More details below!! 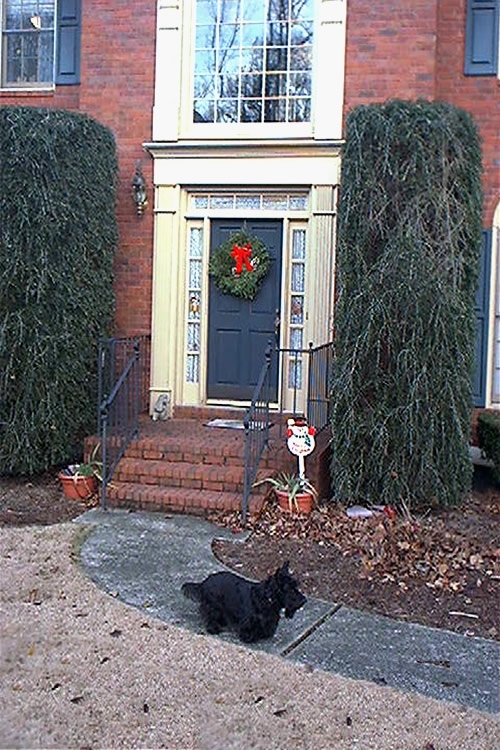 Note: For our customers who live and garden north of USDA Plant Hardiness Zone 7a, where this Weeping Yaupon Holly is not reliably winter hardy, you'll be happy to know it can be grown in containers that can be brought indoors during winter and placed back outside when temperatures warm up in spring. An exceptionally attractive North American native, the Folsom's Weeping Yaupon Holly is a beautiful tall shrub or small tree prized for its distinctive weeping habit and loads of bright red berries in fall and winter (because it's a female). 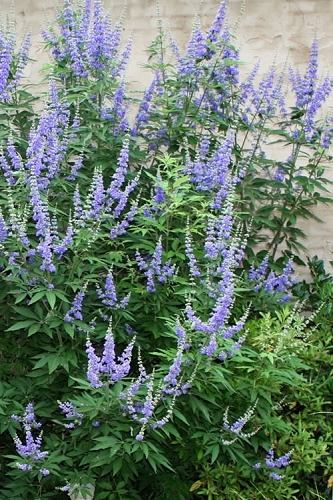 It has many uses in landscape design and does well in soggy or dry soils. 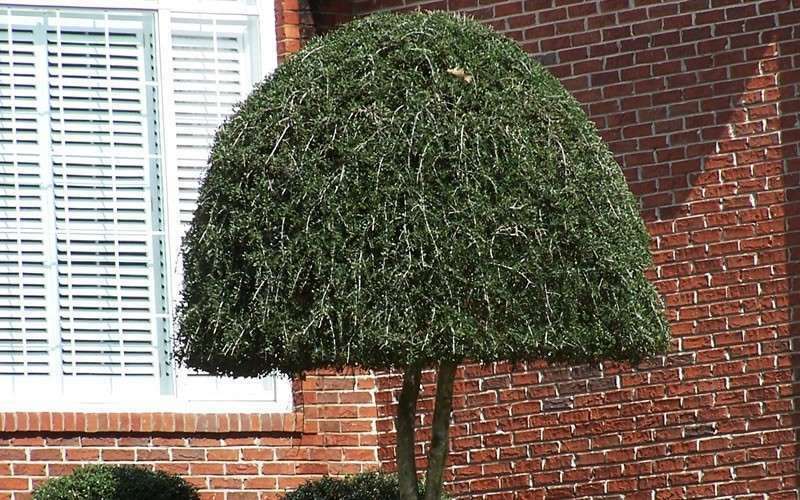 It responds well to pruning so many landscapers and gardeners clip or shear it to various formal shapes, such as the "umbrella" tree form pictured above. 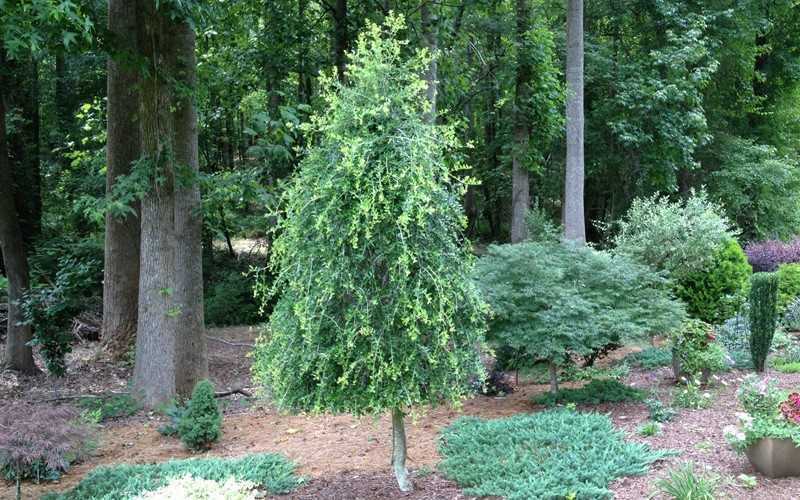 Growing upright with a weeping form 10 to 30 feet tall and 6 to 12 feet wide depending on pruning, the Weeping Yaupon Holly is ideal for use as a tall specimen shrub or tree, in groupings, or in privacy screen plantings. Very effective as a corner plant or espalier (trained to grow against a wall) in tall home foundation plantings. It responds very well to pruning and shearing so lower branches can be removed to form an attractive tree and the top can be sheared to very interesting shapes ranging from "umbrella" to pyramidal. A sturdy North American native, Weeping Yaupon Holly is adaptable to a wide range of cultural conditions, from well-drained to wet or acid to alkaline soil, and sun to part-shade. It is very tolerant of drought and sea salt, and is one of the most durable and adaptable of the small leaved evergreen Hollies for use in southern landscapes. Light pruning may be necessary to maintain a desired shape, but unlike the species it requires less maintenance because it does not sprout from the roots. Click on a link below to get helpful advice from our experts on how to plant and care for a Holly tree. 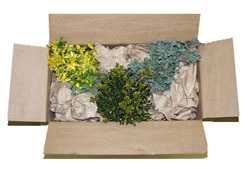 We offer only larger size, landscape-ready plants. 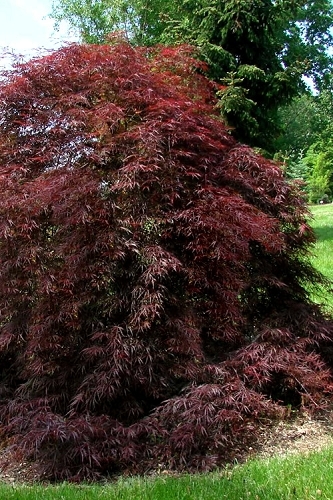 The smallest weeping yaupon we offer is in a 3 gallon container. 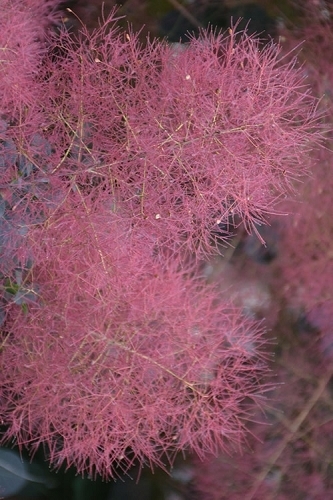 Not sure if there's anyone offering weeping yaupon in small, start plants? What you might consider doing is buying a larger plant and then try rooting some cuttings. It takes some patience and there's an art to rooting them, but that's how we do it. 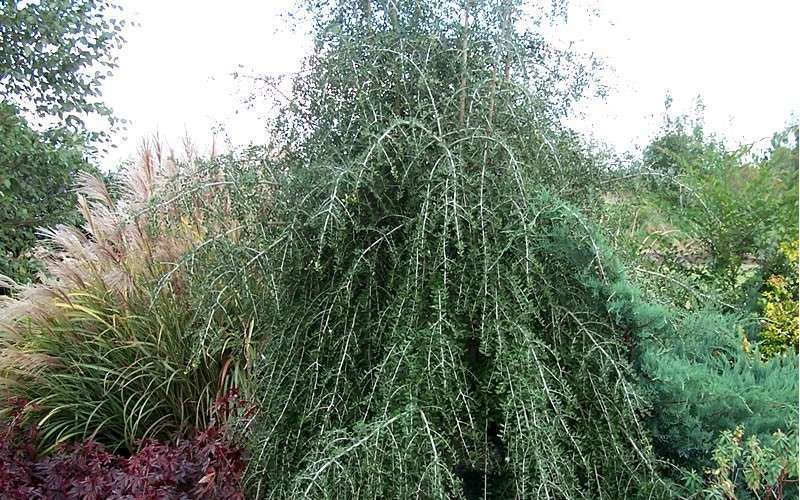 The 3 or 5 gallon size weeping yaupon we offer are around 3 to 4 years old. Let us know if you need more details or have any other questions. 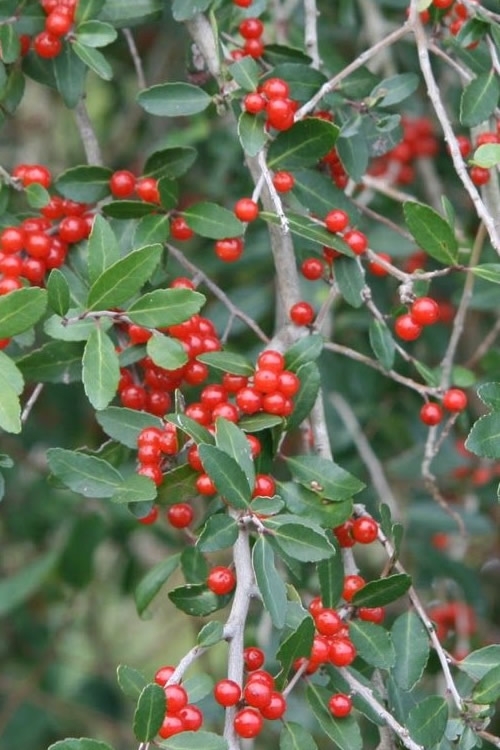 Q: Is the weeping Yaupon Holly the variety of Yaupon that can be used to make tea? Let us know if you have any other questions. We're at your service. 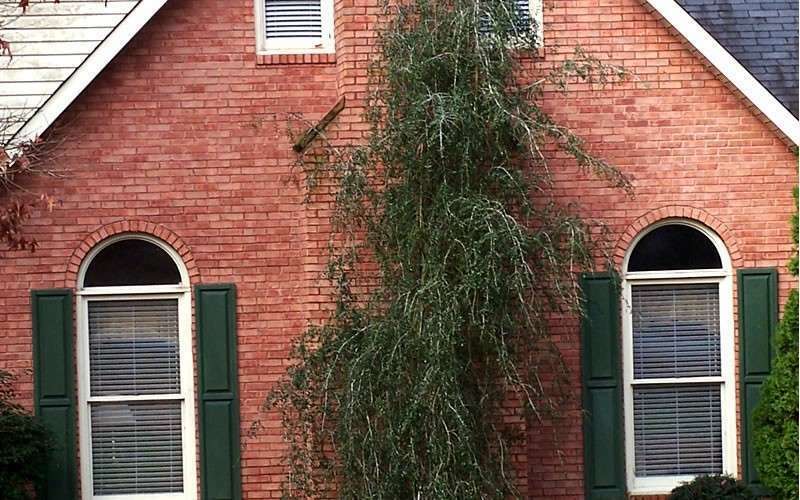 Q: how tall is a 3 gallon potted weeping Yaupon Holly? The Current crop of Weeping Yaupon Holly are 35 to 38 inches tall. 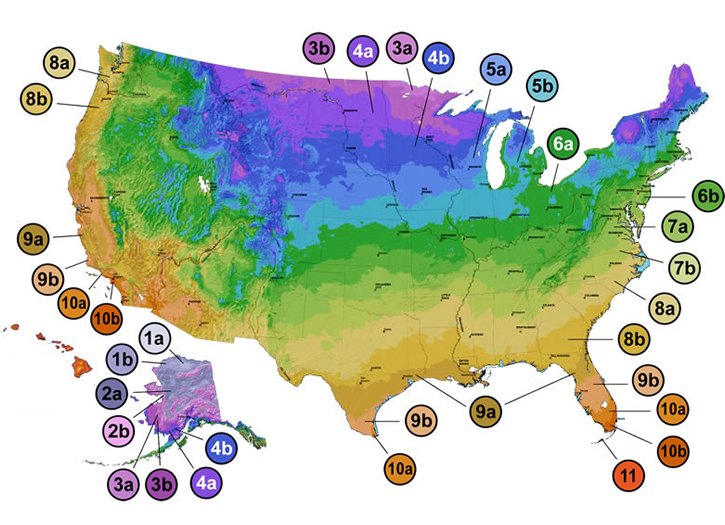 Crop sizes do vary so if buying in the future please check with us for an update. Q: How large is a Yaupon holly in a 3 gallon container? 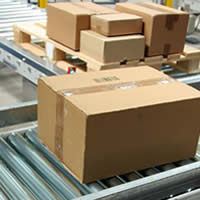 What is the shipping cost to Mooresville, NC? 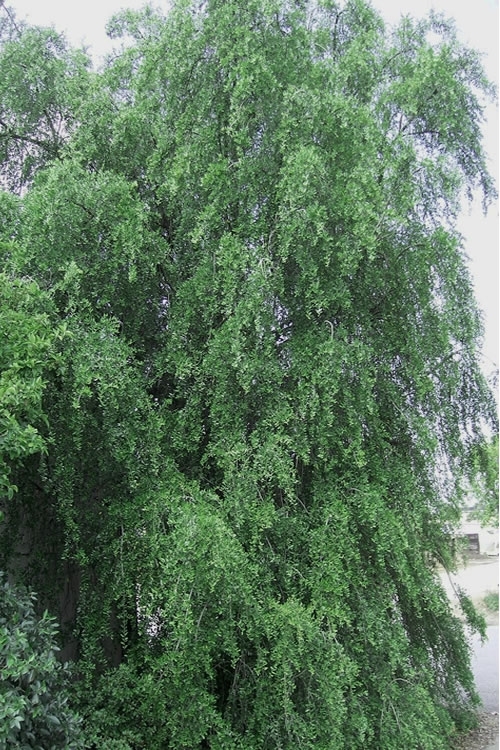 Depending on the time of year, the 3-gallon Weeping Yaupon usually range between 30 and 48 inches in height from the soil line to the top of the plant. The ones we have in stock right now (5/30/2018) are all over 36 inches tall with nice shape. There is no shipping cost. All plants are free shipping. Let us know if you need more details or have any other questions. We're at your service! 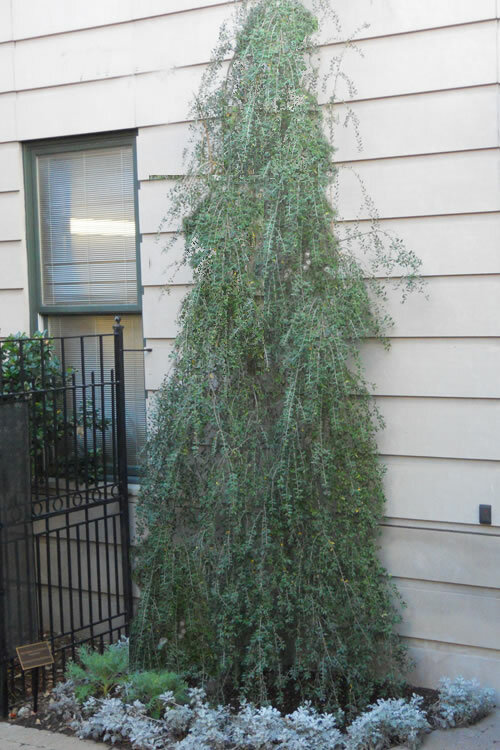 Q: I am looking for a evergreen, deer resistant, zone 7a, southern exposure, tree, that is about 20-25 ft tall at maturity and around 6-8 ft wide as a foundation planting against a tall red brick wall. Would this be advisable? In the forefront I have cleyera bushes, needless to say they lost most of their leaves this winter ,but are still springy and have new growth. 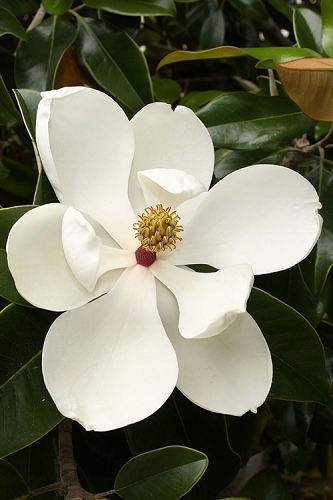 Weeping Yaupon is listed as hardy in USDA Zones 7a to 10b, so it should do okay there against a south wall. I've often used the weeping yaupon against a tall wall in design. A couple others I've used extensively for this purpose are the Little Gem Magnolia and Hollywood Juniper, which is almost indestructible! If cold hardiness and sun tolerance is a concern, you couldn't go wrong with the Hollywood Juniper, and it has such an interesting growth habit and form! I sent you an email regarding the Cleyera. Let us know if you need more details or have any other questions. We're at your service. Q: I would like a weeping youpon about 6 feet tall. Have one? How much? The tallest Weeping Yaupon we have in stock right now (4/13/2018) are ranging 42 to 44 inches tall in a 3 gallon pot. Weeping yaupon are fast growing and these will be flushing new growth soon and will probably be close to 6 feet tall by mid-summer. They are nice plants with good shape to them. 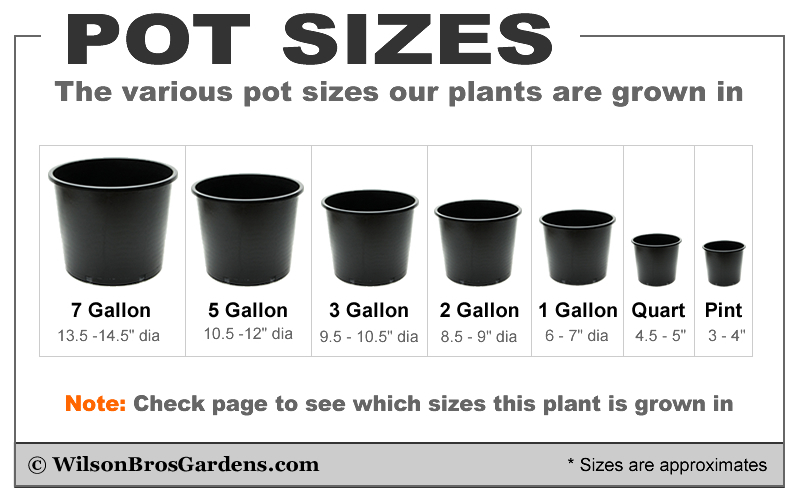 The only ones we have 6 feet or over are at our retail location in McDonough, GA and are in 7 or 10 gallon pots...too large for us to ship. Let us know if you need more details or have any other questions. Q: What is the height of the 3-gal.? The current Weeping Yaupon crop are 26 to 36 inches tall. 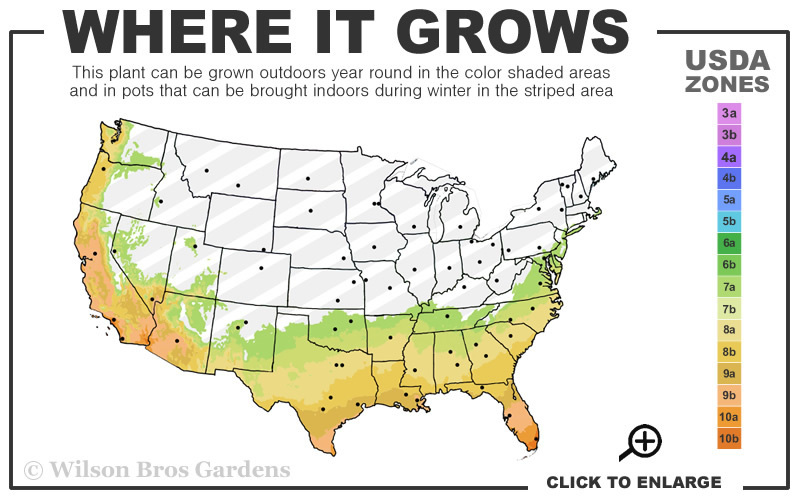 Crop height vary through the season so if buying in the future please contact us for an update.